Home › Cards › Credit Card › Cashback Credit Card › What’s New With The HSBC Amanah MPower Platinum Credit Card-i? Cash back credit cards are popular because they come with benefits that are both straightforward and tangible. Who doesn’t like getting some credit on their monthly credit card statement? When it comes to cash rebate credit cards in Malaysia, the HSBC Amanah MPower Platinum Credit Card-i has got to be one that offers some of the best benefits to its cardholders. For starters, you get to enjoy as much as 8% cash back on expenses paid for groceries and petrol with this Islamic credit card! 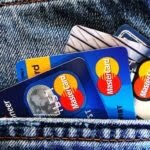 However, as times change, so do the benefits that come with your credit cards. It is common for issuers to shuffle the line-up of perks they offer to customers from time to time, to adjust to changing demands and the economy. For starters, cardholders will now get to enjoy up to 8% cash back every day on expenses paid for groceries and petrol with this Islamic banking credit card. Previously, this cash back benefit was only applicable for weekend spending. This is convenient as you do not have to wait till the weekend to fill up your petrol tank or shop for groceries in order to fully utilise the benefits of the HSBC Amanah MPower Platinum. Cardholders will enjoy these cash back benefits when they pump petrol at Shell, Caltex, Petronas and BHP, and when they shop at Giant, Tesco, AEON Big and Mydin. Now this card is even more appealing to home makers, as they tend to shop for groceries and be up and about on weekdays to avoid the weekend crowd. Previously, this card lets you enjoy cash back benefits of up to 8% for dining, petrol and groceries, but they have taken benefits for dining off the list in 2016. But of course, this is made up for with the cash back benefits now available daily rather than just during the weekend. Dining category is only eligible for 0.2% unlimited cash back daily. If you bring clients out for meals often, and dining is a major expense category for you, this may be a bummer for you. The bad news is, the cash back benefits for local spending on shopping and entertainment has been slashed from 1% to 0.2% in 2016. However, you can still utilise the card for exclusive privileges and discounts for cardholders at over 6,500 retail outlets nationwide! Though you may be getting lesser cash back, you can still save some money from these spending categories through discounts at participating merchants. Previously, cardholders received 3% cash rebate for weekend spending if the total monthly expenditure on the card is below RM2,000, and up to 8% cash back for total monthly spending of RM2,000 and above. In 2016, HSBC Amanah MPower Platinum cardholders will receive a lower cash back of 2% for everyday spending if the total monthly expenditure is below RM2,000 (and up to 8% cash back for total monthly expenditure of RM2,000 and above). While the cash back rate is now lower, consumers now have more opportunities to utilise this benefit, as they now have seven days instead of just two to earn their cash backs! The minimum income requirement to apply for the HSBC Amanah MPower Platinum Credit Card-i has been reduced from RM5,000 to RM3,000 in 2016. According to Numbeo, the average monthly disposable income (net after tax) in Malaysia is RM3,503, so the lower minimum income requirement certainly means that more Malaysians are eligible to apply for it now! With lower minimum requirement, also comes a lower cash back limit. Previously, the HSBC Amanah MPower Platinum offered one of the highest cash backs in the market, at RM100 a month. This is the biggest drawback of the new changes, as cash back on both petrol and groceries is capped at RM50 per month. However, you will receive unlimited 0.2% cashback on other spending. So, do all these changes make the card better? Though you can now enjoy the high cash rebate on petrol and groceries every day, the monthly rebate cap is lowered to RM50. Hence, no matter how much you spend, you get the chance to get back only RM50, maximum! Previously, you get the chance to get up to RM100 in cash back every month. Though other retail expenses are unlimited, there’s only so much you can get back with 0.2% cash rebate rate. Who should get the HSBC Amanah MPower Platinum Credit Card-i? This HSBC Amanah card is a pretty good card if you spend a lot on groceries and petrol, compared to similar credit cards in the market. With high daily cash back, you don’t have to schedule your spending according to the restrictions set by the bank. For example, the Hong Leong Wise Credit Card only offers up to 10% cash back on petrol and groceries, if you are enrolled to these categories. And the cash back limit of RM100 is only applicable if you swipe 10 times on your card every month, with RM50 minimum spending for each swipe. Another credit card that offers daily cash back on petrol and groceries is the Maybank Visa Signature card. You can get up to 5% cash back on petrol and groceries daily. However, unlike the MPower Platinum credit card, the Visa Signature card by Maybank is only eligible for applicants earning RM5,833 monthly. If all these restrictions to get some cash back on your credit card is really too much trouble for you, the HSBC Amanah MPower Credit Card-i is one of the easiest card that offers you high cash back seven days a week, with a low income requirement. If your job requires you to travel or you’re constantly on the road, and spending all that money on fuel is getting you down, the 8% cash back benefit that this card can potentially offer for petrol expenditure may just cheer you up again. This card is also great for those with bigger families, especially if you spend a substantial amount on groceries every month. With up to 8% cash back benefits on grabs when you shop, you literally get money back in your wallet while you stock up your pantry! As they say, a little extra could go a long way, and this is particularly true in these trying economical times when every little bit of help you could get counts! 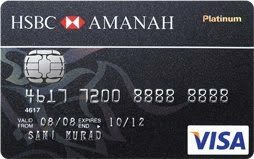 Click here to apply for the HSBC Amanah Credit Card-i today!